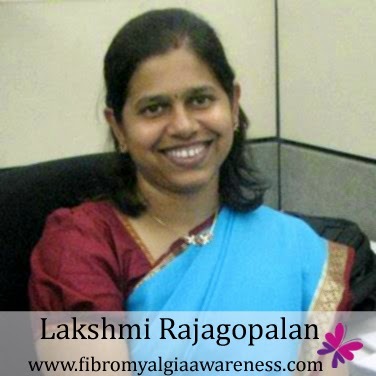 Meet Fibromyalgia warrior Lakshmi Rajagopalan from Bangalore, India, who coincidentally is just 5 days elder to me!!! As if when someone up there was deciding who all will get fibromyalgia later in life, selected people based on some permutation of their birth dates and allotted the year 2008 for her diagnosis and 2009 for me. Huh! Anyways, let's get realistic here and move on to Lakshmi's insightful and inspiring interview. I have always had a very active life. I started working on my Masters degree in Urban Planning while in my 3rd trimester with my first one. Attending to my lil one and my family, working on schoolwork, my internships, while trying to have some semblance of a social life. Soon after I finished my masters, we found out that we were expecting our second one and I also started working in my 3rd trimester (again J). I trained for and completed the Nike Women’s Marathon in October 2007 and raised funds for the Leukemia and Lymphoma Foundation/Team in Training. My symptoms started showing up around the same time – fatigue and extreme pain but I attributed all that to my training and the injuries. I had also had a couple of procedures done due to endometriosis and disk bulge/back pain. Then the other symptoms started – dizziness, unexplained ear aches but no ear infection, pain in the TM joint, overall body pain, fatigue, palpitations with sudden sweating and a racing heart, killer migraines, burning sensation in the shoulders, stiffness in the neck, back pain…Name it, I had it. My doctor ran a battery of tests and guess what, everything came out normal (like that’s a surprise). She did note that there were times when I felt tender to her touch and finally did the trigger point exam and told me that I have all the symptoms for FM. This was in 2008, when FM was still a ‘wastebasket condition.’ She also told me that maybe, just maybe I am imagining the pain and that the stiffness might be due to something else. Of course she prescribed meds (lyrica and tramadol) and when the pain was unbearable, she put in a referral for trigger point injections. It has been 5 years now, pain has progressed with time, 2013 being the worst low-point. I am relearning and rediscovering my way to manage my pain to help me lead a peaceful life. Visualize a lit Christmas tree; the tree is my body and the twinkly little lights, going off and on - FM pain. The pain is literally everywhere, and it radiates to my back and my legs. On good flare-up days, the pain is dull, achy, bad and disturbed sleep. I feel like a truck ran me over and my pain scale is 30 (on a scale of 1-10). Bad flare-up days are accompanied with sharp, shooting and radiating pain, severe migraines and extreme sensitivity, myofascial pain and stiffness, arrhythmia and dizziness and finally little to NO sleep (pain scale is non existent as pain is through the roof). I look forward to days where my pain scale is 7. They are good days. Well, the late nights are out, that’s for sure J Otherwise, I am extremely thankful and blessed to have the unconditional love and support from my husband, Guru and my boys, Vidyuth & Vishruth, my folks and most importantly, my lovely, lovely friends, who are with me through my thin and thick. Even when we all meet, they are cognizant of my pain and we manage. Yes, there have been insensitive people who were, well insensitive. Do I feel hurt, yes but is it my problem – nope. How do I deal with them – like this : I get it….do you? I took a 6-month break last year and worked on improving my resistance, my mental and physical well-being. I volunteer with eVidyaloka, where we they to fill in the gaps in the education delivered to rural kids in TN, AP and Jharkhand at the moment. I worked twice as hard to finish my PMP exam and now am a certified PMP :) I also started working again from January. I consult Dr.Deepak Sharan, Orthopedic and Rehabilitation surgeon. Yes, the dosage has increased – gabapentin, ultracet and amitriptyline. They do help but I consciously don’t take the full dosage, i.e., I take the morning dosage around 11.00 am –noon and skip the afternoon meds and take the night dosage. I met with a Cognitive Behavioral Therapist, who helped me realize that I was more critical of myself than I was of the others, and I set standards that were so high, it became impossible to reach them. So I was actually pushing myself more than I needed to. In addition, because of the chronic pain, the physical body is in a constant hypersensitive state. Add the emotional component, I was basically a jumbled mess. What are your personal tips for relief?Same things I learnt - Treat yourself with compassion, don't be critical of yourself, Set small goals, take your life - one task at a time, learn to say NO, listen to your body, Do not compare your current self with your past self, take lots of rest and LET GO! Yes, I walk a minimum of 3 kms everyday. I have started doing therapeutic yoga. I meditate everyday and am very conscious and aware of my thoughts and feelings. I am able to accept and cope with my pain better. Meditation and maintaining silence has brought my focus back to my priority of giving a good childhood to my kids and being THERE for them unconditionally. I have made a conscious choice to include more greens/bananas in my diet – increases potassium/magnesium and iron. Helps with pain. I call FM the in-between, invisible illness. From my blog - “People usually relate to conditions that they can either see, i.e. a fracture, flu, cold (something that has a cure time) or a life threatening condition. But for the in betweens like me, the ones that have chronic illnesses but look alright from outside, they are always ready – ready to judge, ready to find fault about why someone is sick, ready to offer solutions. I GET IT, people do it cos they are concerned, they are worried and cannot understand how someone, who looks healthy, who is able to manage their chores and daily activities, has some semblance of a social life is not getting better. Maybe they think I am not trying hard to get better or maybe I am not getting better according to their schedule. I am fortunate enough to find a doctor and his group of physical therapists, who understand the intensity of FM pain and the condition. But there are others who base their diagnosis on the test results and not actually on what the patient is experiencing. They assume that it is a cry for attention or vivid imagination (it’s all in the mind) or obsession. No one actually lies about being in pain. There were a lot of illnesses in the past, like TB that were considered taboo, where the patient was made to undergo a miserable living but with meds and medical advancements, people with TB live a normal and healthy life amidst loved ones. In 2008, FM was still considered a “It’s all in the head” condition but now, it has been accepted as an auto-immune condition so who knows what the future medical discoveries will bring. All I ask is be open and listen to your patient. Just because you do not know about it does not mean it does not exist. Definitely my family and my friends J. They make life enjoyable and my pain bearable. I blog @ LGV - Expect the Unexpected, I also listen to music, bake regularly. I also follow blogs/Facebook pages of people with autoimmune illnesses. These pages/blogs provide an inside look into how others manage their condition while living their life. 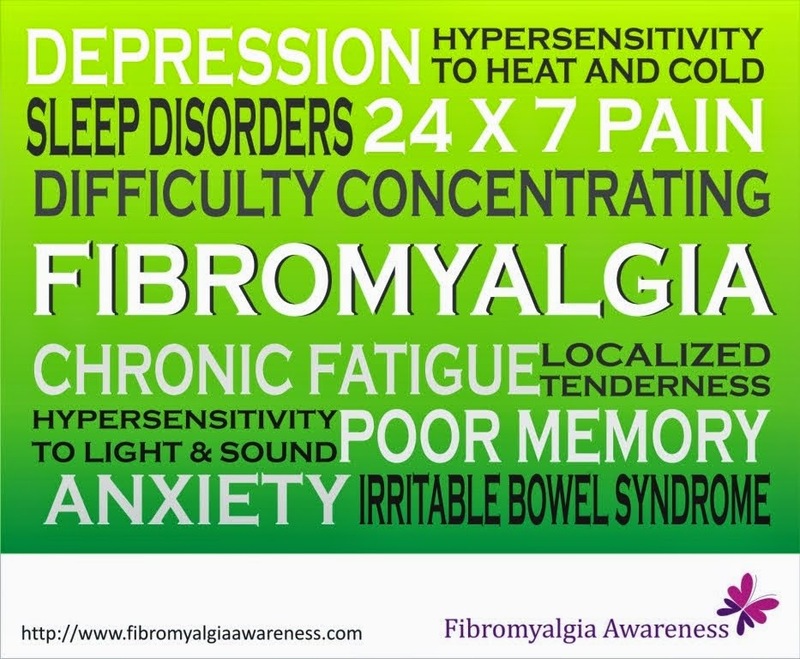 I became a member of Fibromyalgia Awareness around April 2013. It’s all about making an invisible illness “Visible” and it is the step in the right direction. Interview published on 15th July 2014. This blog and its owner have the rights to this interview. Do not copy the interview on your website / print / publish elsewhere without our prior approval that includes the approval of the interviewee. However, you can share the link of this interview to help us raise awareness. The opinions in the interview are solely of the interviewee and we do not advocate the use of medicines / drugs, if any, mentioned in the interview. Kindly consult your doctor before starting any therapy or medicine mentioned here.